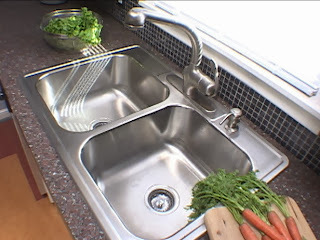 Stainless steel kitchen sinks are very common these days. Not only can you find them for a great price, but the durability and ease of cleaning is above and beyond what most other types of kitchen sinks can offer. 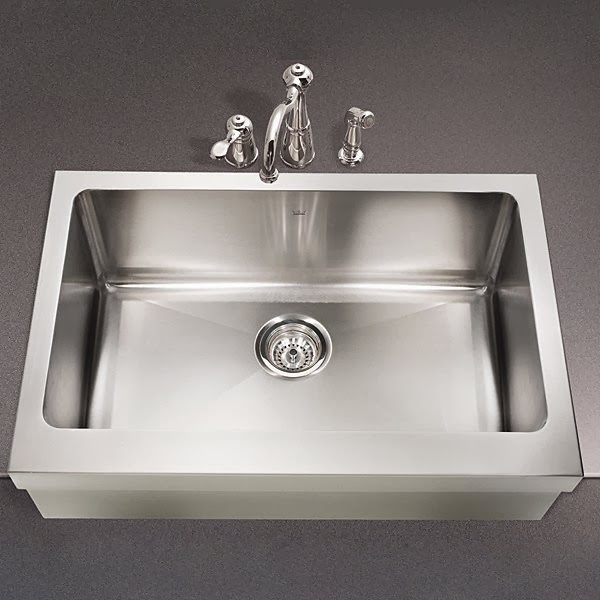 Stainless sinks are difficult to stain, and most of them do not dent or scratch easily either, making them a simple choice for many kitchens. Add to that the popularity of stainless steel appliances and the fashion trend of a "commercial look" and it is easy to see why stainless kitchen sinks are everywhere, but if you are not careful that high end look can become a high end eyesore. 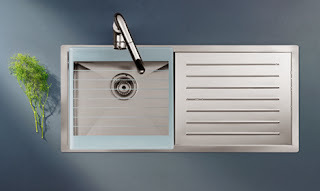 When you see a stainless kitchen sink in an advertisement, or in a store, it will usually have some information attached. 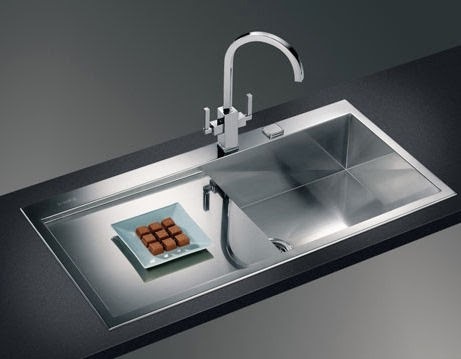 One of the first things you will see, besides size of course, is Gauge. The Gauge of stainless steel measures the thickness of the steel itself that was used to create the sink. Usually you will see a number between 16 and 23. In most circumstances a higher number indicates a higher quality or larger measurement, but Gauge is like Golf, the lower the number the better. 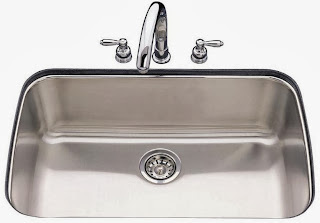 I personally recommend a 16 or 18 gauge sink, especially if you are doing an apron front sink or a zero radius stainless steel sink. 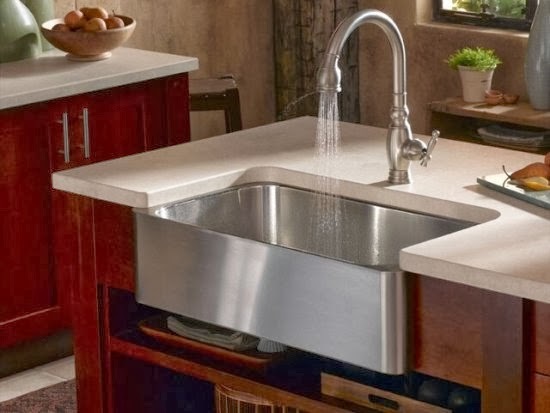 Anything higher than that, while it may be cheaper, is much more likely to dent or crease, especially when your belt buckle hits the front of a stainless farm sink while you are doing dishes. 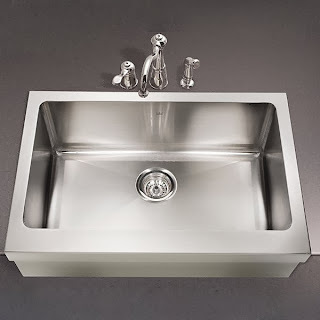 18 gauge stainless steel is 0.0500 inches thick and weighs 2.016 pounds per square foot, and 16 gauge stainless steel is 0.0625 inches thick and weighs 2.52 pounds per square foot. 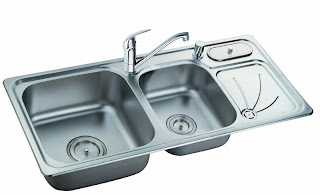 While that may not seem like much, that is actually a 25% increase in both thickness and weight, making 16 gauge a considerably more durable and sturdier sink. 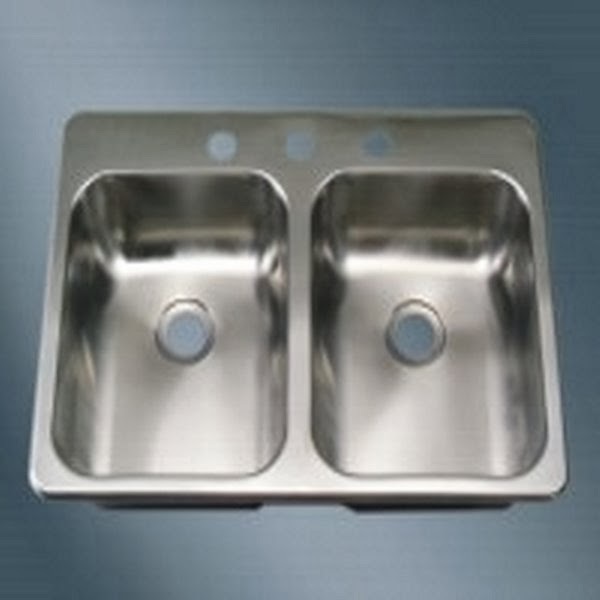 Information about stainless kitchen sinks is not hard to find, but sometimes it is hard to understand with numbers, alloys and percentages floating around in the product descriptions. It may look complicated but in reality, almost all stainless steel sinks are fabricated from Type 304 stainless steel. This is the basic form of stainless steel and what this number signifies is that this steel contains a minimum of 18% chromium, 8% nickel and a maximum of.08% carbon. This is why you will also see the number 18-8 steel listed in the specifications sometimes, they are simply referring to the percentages of chromium and nickel blended with the steel to make it stronger. 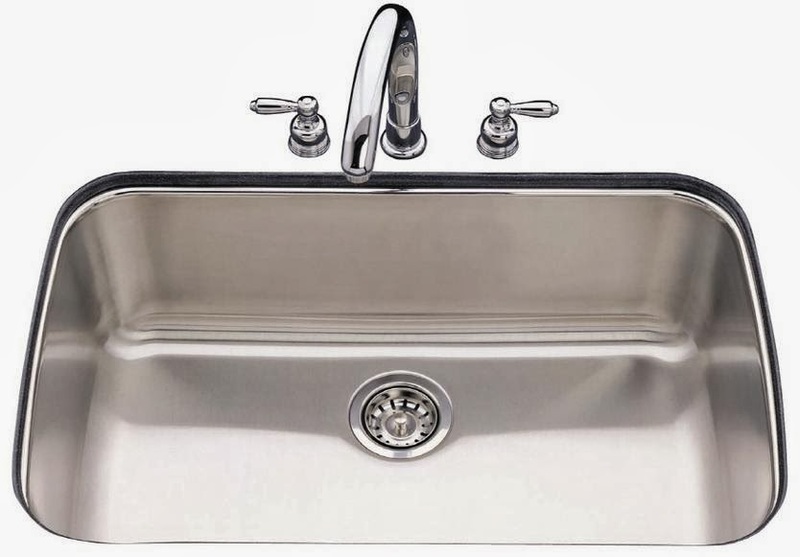 As you probably know, steel is susceptible to rust, but by blending in these other elements it makes the steel corrosion resistant as well as sturdier. A higher percentage of chromium and nickel in the steel indicates a higher grade of stainless steel so look for the 18-8 or even 20-10 numbers somewhere in the information so you can rest easy knowing your stainless sink is high quality. While stainless steel sinks are not very susceptible to rust, they can be stained by rust, so be careful of leaving a cast iron pan sitting in a sink too long. 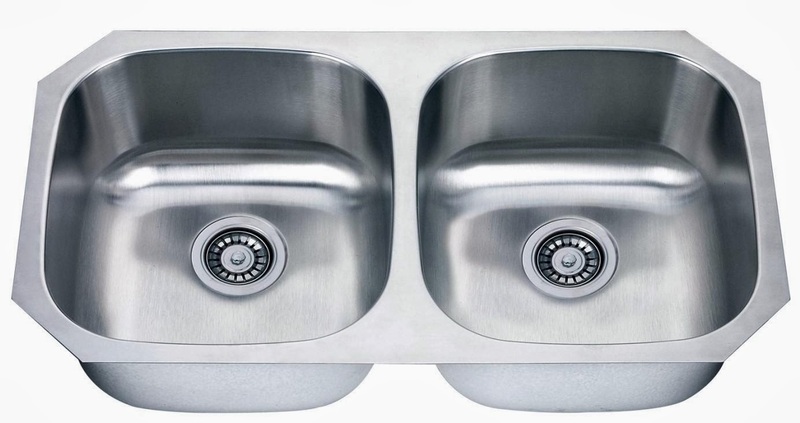 Whether it be a zero radius stainless commercial sink, a slick contemporary apron front sink, or just a simple undermount stainless steel sink, you know how to shop, and what to look for to get the best product for your money. 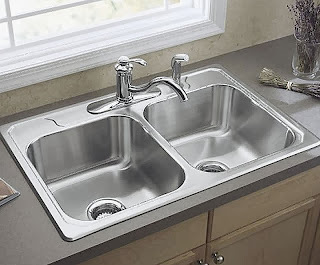 And if you are worried about scratching, or just want the convenience of being able to keep your sink clean with minimal effort, purchase a stainless kitchen sink grid with rubber feet to match your sink. You'll be glad you did. 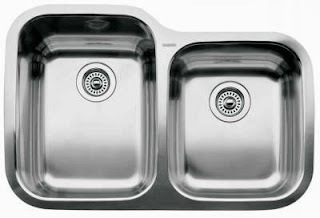 So shop smart and look for the value, it's all there in stainless steel. 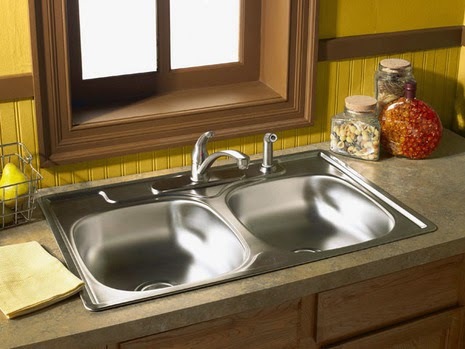 Kitchen and Bath Cabinets by Stonemasters offers products for many aspects of kitchen design and remodeling. You can find more ideas and recommendations at http://www.kitchenandbathcabinets.net. 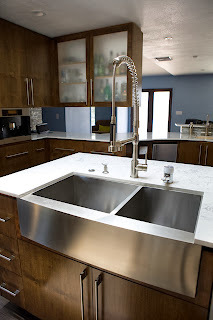 Our cabinet showroom and indoor granite warehouse are located at 515 Schoolhouse Road, Kennett Square, PA 19348.